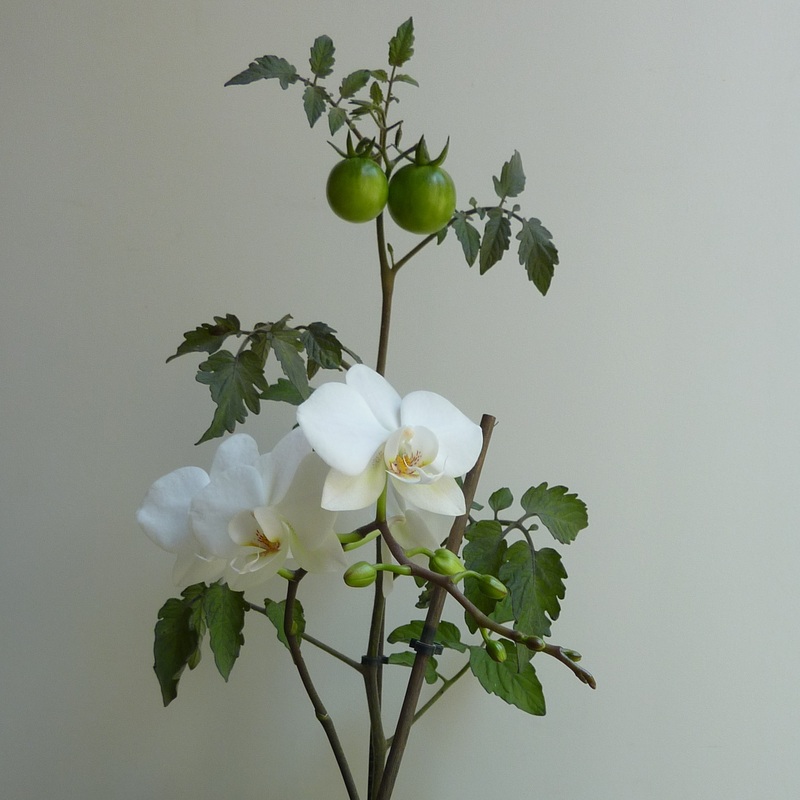 If you are a regular reader of this blog, you’ve probably already noticed that despite my admiration for blossoms, I mostly grow plants that yield fruit at the end of the season. 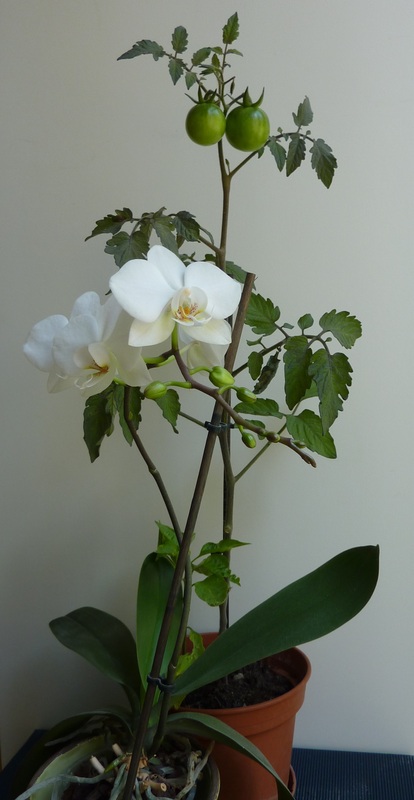 The one exception is my orchid, which I got as a present a couple of years ago. This year, it is really nice that the orchid opens its flowers right at the time when the balcony plants are going to rest for the winter. So in a way, these photos not only show a perfect match, but also capture the seasonal transition. 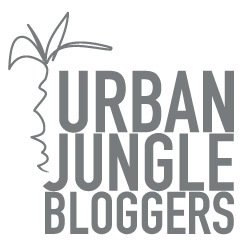 For more posts matching plants and blooms visit Urban Jungle Bloggers.